The trail runs 16 miles from Florida's capital city to the coastal town of St. Marks. 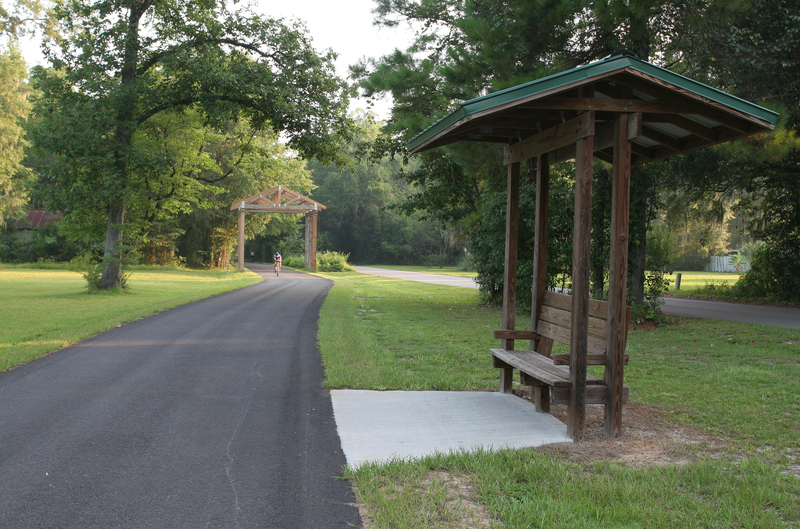 An additional 4.5 miles of trail north of Capital Circle is maintained by the City of Tallahassee. 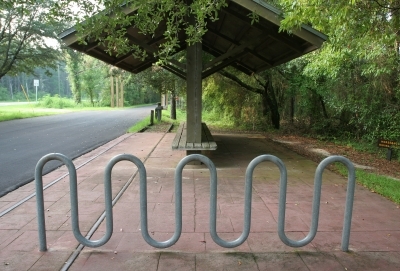 The paved trail provides an excellent workout for bicyclists, walkers and skaters and features a Boundless Playground. The trail also offers opportunities for horseback riding on the adjacent unpaved trail and access to the Munson Hills Off-Road Trail in the Apalachicola National Forest. From downtown Tallahassee, take Monroe Street south, which will turn into Woodville Highway (SR 363). After passing Capital Circle (US 319), look for trailhead on right. The first entrance (small metal sign) is for horse trailers and oversized vehicles. The main Trailhead entrance is 1,000 feet south (large wooden sign). From Tallahassee, go south on Woodville Highway (SR 363). After passing Capital Circle (US 319), go 8.5 miles. Turn right on Cumberland Trace Road. Go to the stop sign and turn left on Old Woodville Road. Follow signs to the trailhead parking on the right. From the South, take SR 267 and turn north on Old Woodville Road, travel ¾ mile and the trailhead is on the left. Managed by the Florida Park Service, the Tallahassee-St. Marks Historic Railroad State Trail is officially designated as part of the Florida's Statewide System of Greenways and Trails. 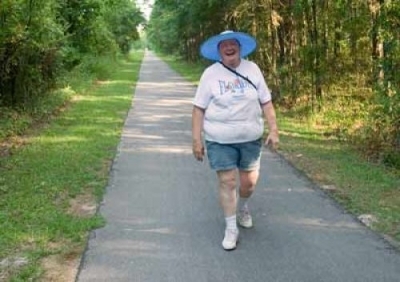 The trail follows the abandoned rail bed of the historic Tallahassee-St. Marks Railroad. The state managed section of the trail runs 16 miles due south from the main trailhead, which is just south of Capital Circle (US 319) southeast, to the coastal Town of St. Marks. The Florida Board of Trustees of the Internal Improvement Trust Fund (Trustees) holds fee simple title to the property. The property is leased to the park service through December 15, 2043. 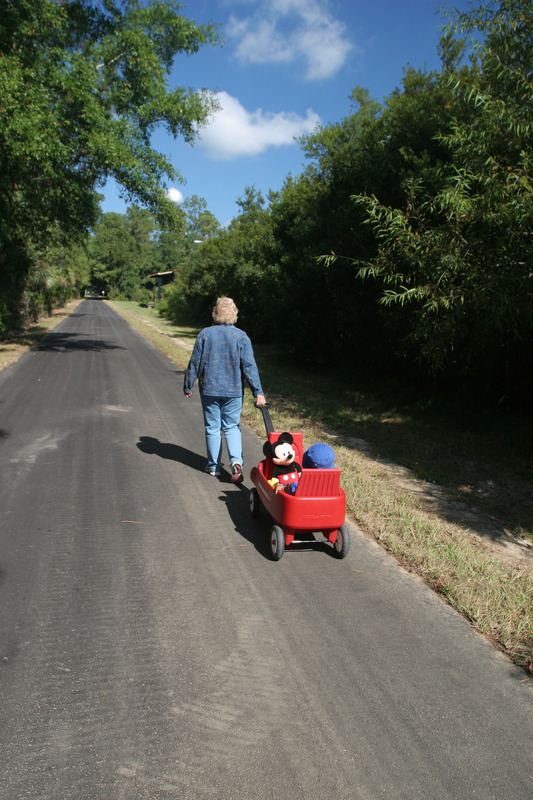 Development for the paving of the trail was funded by the Florida Department of Transportation. The trail is a completed section of the developing 120-mile “Capital City to the Sea Loop” corridor and is a destination along the “Big Bend Scenic Byway.” The trail provides a scenic experience for over 220,000 annual visitors. Equestrian riders can enjoy the adjacent unpaved trail. An additional 4.5 miles of trail north of the Capital Circle (US 319) trailhead is maintained by the City of Tallahassee. 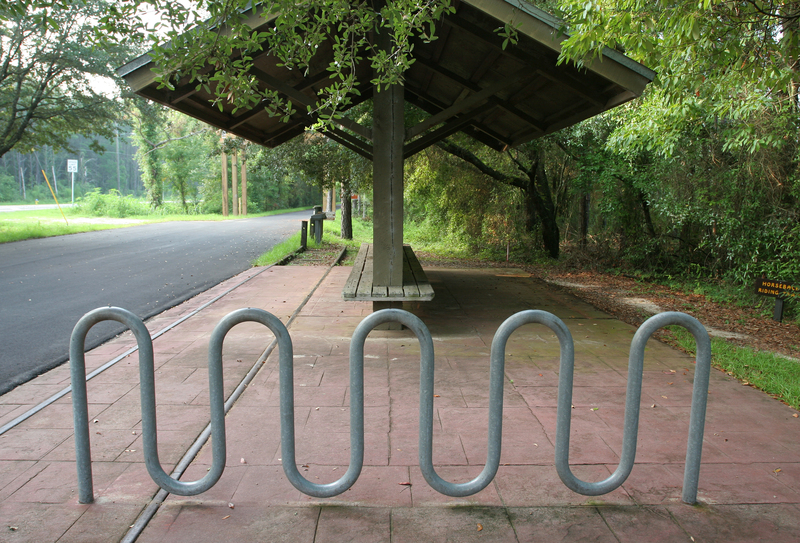 Approximately 1.25 miles south of the main trailhead, outdoor enthusiasts can bike or hike the Munson Hills Trail in the Apalachicola National Forest. The barrier-free Felburn Foundation Boundless Playground® at the Wakulla Station Trailhead is designed to give children of all abilities the opportunity to learn and play freely together. At the southern end of the trail, visitors can enjoy seafood dining and entertainment in the coastal community of St. Marks and learn about the history of the area at San Marcos de Apalachee Historical State Park. Bike rack and rail section. Photo by Doug Alderson. Wagon Ride! Photo by Doug Alderson. Wakulla Station. Photo by Doug Alderson.